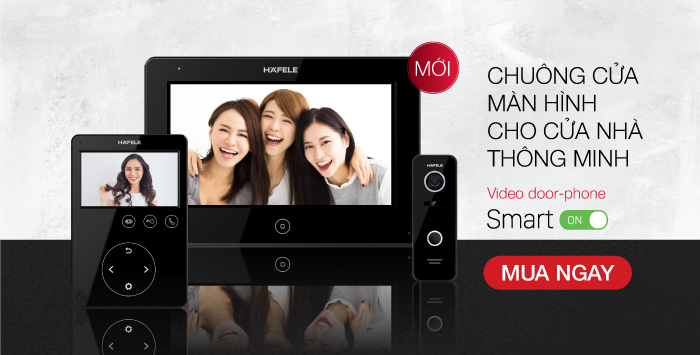 In further efforts to introduce more smart home solutions to Vietnam, Häfele has officially launched a collection of video door-phones for both private home and apartment buildings. Moreover, the products can be networked with Häfele’s electronic locks – EL7200, EL7500 and EL7700, enabling remote control while bringing more convenience and security to users. On the occasion of the product launch, Häfele is also offering special deals at our showrooms and HäfeleHome from October 15 to November 2 2018. Click here for further details.